The goal of Stratford Shopping Centre Events was to attract more visitors as well as provide a memorable experience for children during the summer holidays. 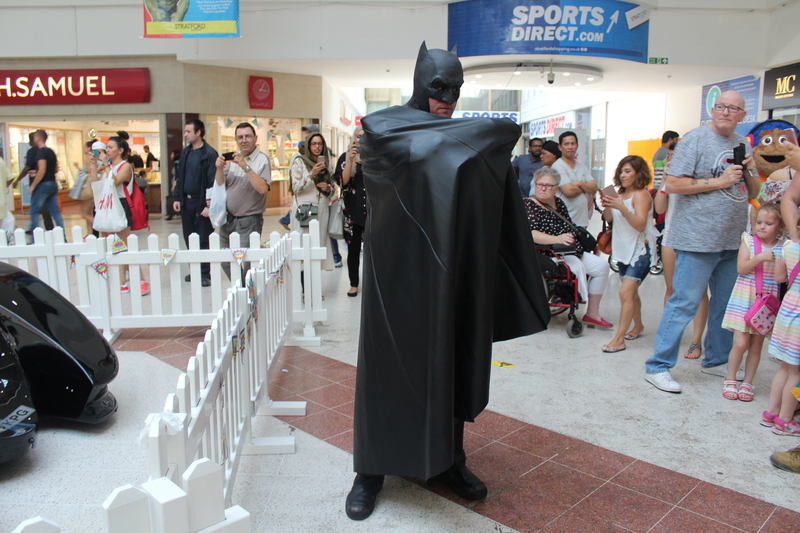 Each Saturday, Stratford Centre welcomed a different superhero as well as themed activities for visitors to take part in. The Stratford Shopping Centre events were free and held across consecutive weekends. The intention was to drive loyalty from shoppers and provide a variety of activities for the community, children and adults alike. The first Saturday in August saw the caped crusader visit the centre and even featured the legendary Batmobile. Shoppers were given the chance to meet Batman and take photos with him. Plus, they could take part in a workshop to make their very own masks and capes! There was also an exclusive meet and greet organised with Autistic Inclusive Meets, an organisation that enables families with autistic children and autistic individuals to get out into the community and socialise. The second Saturday featured an appearance from Spider-Man with the opportunity for a meet and greet as well as another free workshop for shoppers to participate in. The workshop revolved around shoppers making personalised masks in order to conceal their secret identities like the web-slinger. The third event welcomed the armoured avenger himself, Tony Stark. Shoppers were again treated to a meet and greet with the opportunity to take photos with Iron Man. Following this, they were given the chance to create and colour in their very own action packed comic strip! The action packed summer concluded with the Incredible Hulk visiting the centre. This time shoppers could transform and ‘hulk-out’ before joining the green goliath in an action shot with the help of a green screen.